The IFH Group, Inc., a leading metal fabricator and manufacturer of hydraulic oil reservoirs and custom fuel tanks, has completed its 2nd major expansion, increasing the company’s overall square footage from 106,000 to over 127,000 under one roof. The most recent addition houses IFH’s non-ferrous manufacturing lines, stepping up the company’s capability for the production of aluminum sheet steel for its reservoirs, tanks and other custom fabrications. The addition has enabled IFH to streamline all areas of production from incoming raw materials to shipment of completed fabrications and tanks in order to shorten the lead times to customers. 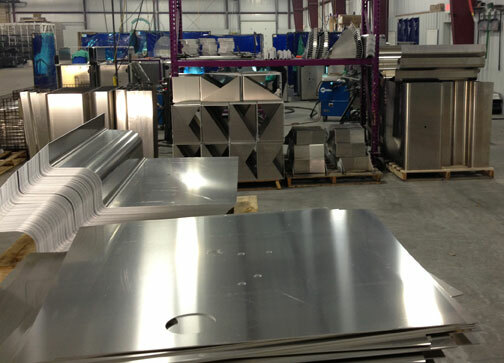 IFH has expanded its non-ferrous production capacity for applications that require custom aluminum fabrications.